2010. 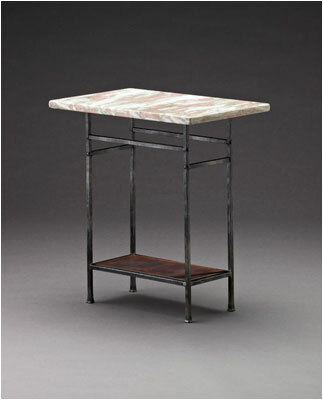 Hand forged steel, patinated copper, marble. 24"H x 22"W x 14"D.